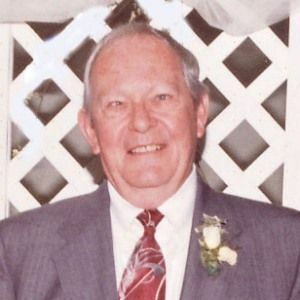 FORT WORTH – Joe D. Patrick, 80, passed away on Sunday, April 15, 2012. Service: 12:30 p.m. Thursday at Laurel Land Chapel of Chimes. Interment: Laurel Land Memorial Park. Visitation: 5 to 7 p.m. Wednesday at Laurel Land Funeral Home. Joe was born June 17, 1931, in Golden Texas to Jimmie K. and Faithie Sullivan Patrick. Joe spent his early years in East Dallas and was a founder of the Chaparrals Car Club where he enjoyed cars, hot rods, and drag racing. After the formation of the National Hot Rod Association, Joe and other club members joined and became initial members of the NHRA. Their club hosted the first sanctioned NHRA drag races held in Texas and Joe's bother-in-law and fellow club member won several NHRA awards and was featured in Hot Rod magazine. Joe's passion for cars carried forward to his career as owner and operator of Mack's Auto Supply on Fort Worth's east side for 16 years. He was a Christian, loved gospel and country music, and was an avid Texas Rangers baseball fan. Joe cherished his family and the many friends made throughout his life and was preceded in death by his parents. Survivors: Son, Joe D. Patrick, Jr. and wife, Julie; sister, Wilda Brackeen and husband, Jack; sister, Martha Taft and husband, Horace; and numerous other loving family members and friends. My condolences, Don, to you and your family. I know that your dad will be deeply missed. We know you will be sorely missed by your son and his family and your sisters. Many people can tell you about life. Joe Patrick taught me how to live. Fully. Completely. Passionately. His compassion and generosity came naturally and his friendships knew no societal or economic boundaries. His laughter was spontaneous and contagious. His presence will be missed by his many friends. May God's Presence comfort Don and Julie and Joe's sisters, families and many friends who will feel an immense void in their lives. Please accept our condolences on the loss of Joe D. Patrick, Sr. Thank you for allowing us to be of assistance to you and your family during this difficult and stressful time. If we can help you in any way, please do not hesitate to call us. Bobby and Brenda, Laurel Land Fort Worth.